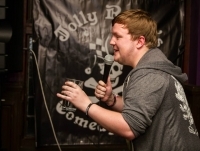 Tim Lee - Comedy Showcase: Chelmsford Comedian Of The Year 2012 Performance! Achievements: PANIC Awards 2014 Comedian of The Year Nominee, Chelmsford Comedian of the Year 2012 and 2014 Finalist, Performed at Brownstock Festival 2013. Charity Gig and very rude poem 'C*nt' !